Annual cleanings and exams are crucial to your oral health. The American Dental Association suggests two per year. At Fischer Family Dentistry, we understand the importance of preventative care. We offer thorough exams and cleanings to keep your smile bright, and your teeth and gums healthy. When you visit our office, we’ll make sure you’re comfortable while we perform your exam. We’ll look for plaque, tartar, and any signs of tooth damage and decay. 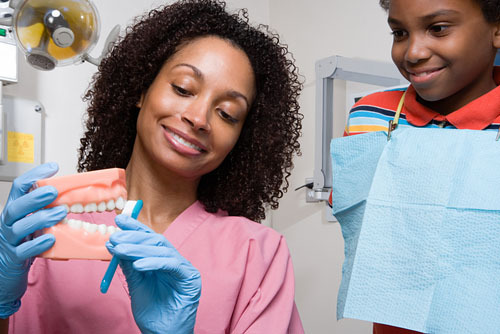 We’ll inspect your teeth and gums for any issues, such as cavities. We use x-rays to help us diagnose potential problems. We also offer oral cancer screenings using cutting edge technology. 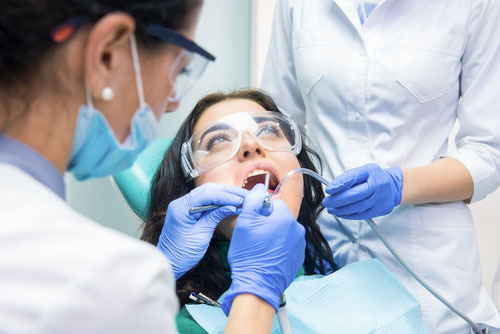 Our hygienists will examine you first, and then you’ll be examined by a doctor. This ensures that nothing will be missed. During the exam, we’re happy to answer any questions you may have. We want you to be fully informed about your own oral health. And we’ll advise you on how to tackle any problems that we discover. We’ll also advise you on how to maintain good oral health. We perform exams on people of all ages. If you or your child are nervous about this process, don’t worry. Our staff are super friendly, and trained to make your comfort a priority. 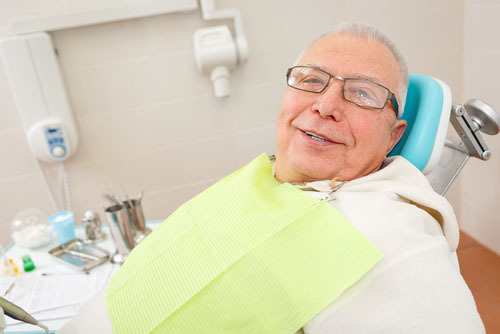 During your cleaning, we’ll remove the plaque and tartar from your teeth. It’s important to do this at least once or twice a year. If these are allowed to build up, cavities can form, and teeth can begin to decay. Brushing and flossing at home is important. But there are some areas in your mouth that you won’t be able to reach on your own. We’ll keep your mouth healthy so you never have to worry about those issues. After the plaque and tartar are removed, we’ll floss your teeth. Flossing is crucial to gum health. We’ll instruct you and your family on the best flossing techniques. Then we’ll do a thorough brushing. Flouride treatments are also available. And throughout the cleaning, we’ll make sure you’re comfortable, and aware of what’s going on. After the cleaning, we’ll leave you with instructions on how to best care for your teeth and gums at home.